Citrus trees may be grown in tropical or subtropical climates. The trees range in size but have wide, strong root systems that help them gather moisture in hot climates. All trees have the potential to become invasive with their root system. Roots will grow where their needs are met and spread to areas that hold those needs. This is why tree roots often invade water pipes. It is best to plant citrus and all trees away from houses and cement paths to prevent damage. Citrus trees have broad shallow roots that may become invasive to infrastructures. The roots of a citrus tree may or may not contain a taproot, but most do. This is a deep, thick, anchoring root that grows vertically. The majority of the system is made of woody, fibrous horizontal roots with hairy feeder roots branching off of them. Most tree roots are located in the top 6 to 24 inches of soil. The availability of food in the form of carbohydrates, water and soil temperatures influence the amount and type of root growth in a citrus tree. Cement makes concrete when it is mixed with water. Some people add lime to the mixture which makes more of a mortar consistency. Lime in soils decreases the acidity and raises the pH. Citrus trees thrive in soils with moderate acidity and exhibit deficiency symptoms when they are grown in alkaline areas. 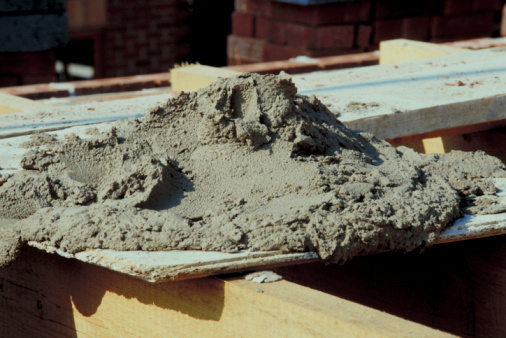 Lime can leach out from fresh cement into the soil. When your citrus tree is near a new cement structure, the roots will become stunted and growth slows. This is a response to an environment that they do not like. The size of a citrus tree is linked to the size of its root system. Larger, more vigorous root systems can support more shoots. Conversely, more shoots grow in response to root system growth as supported through photosynthesis. When the root system is damaged or diseased, leaves fall off the citrus tree. This is a response to a lack of water and nutrients that are being pulled up by the roots to support the leaves. In citrus trees there are more shoots than roots, with an average ratio of 1 to 4 or 1 to 2 roots to shoots. This ratio will be even higher when the plant is compressed by thick cement and roots are prevented from growing. The woody roots of trees may damage cement structures, but a more important consideration for the tree is a wide area for roots to grow. 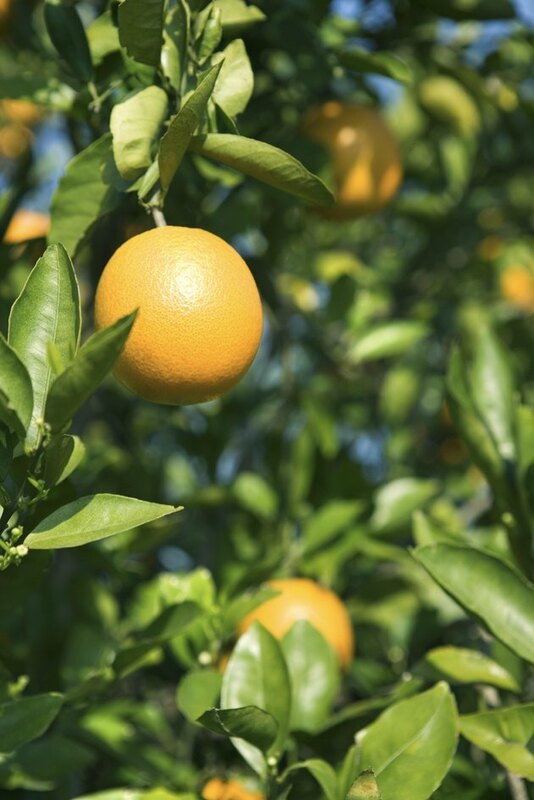 With this in mind, it is best to plant a citrus tree at least 6 to 8 feet away from buildings or other structures. This will prevent root intrusion and allow the roots to have enough room to spread. The root system is usually as wide as the canopy, but soil type will affect the actual size. Sandy or loose loamy soils allow roots to pass easily so they will produce a wide root system. Clay soils are harder for roots to pass through and generally produce tight stunted root systems.